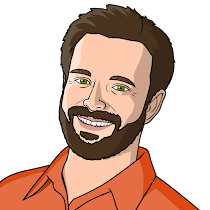 From the Canyon Edge: Hotfix Your Ubuntu Kernels with the Canonical Livepatch Service! 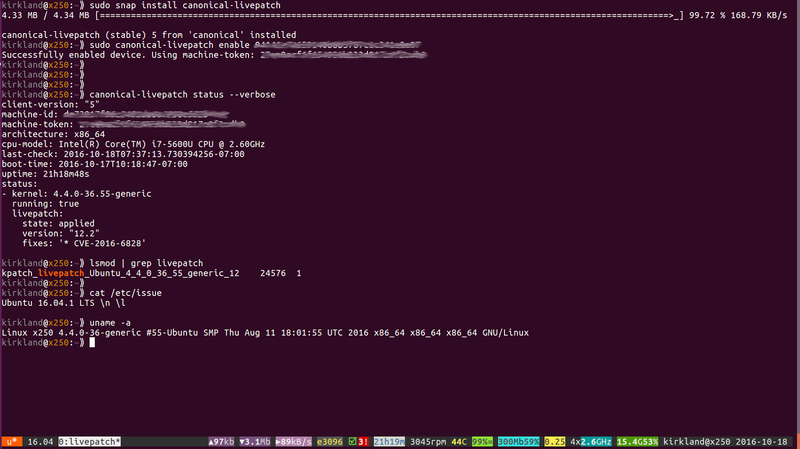 Hotfix Your Ubuntu Kernels with the Canonical Livepatch Service! Ubuntu 16.04 LTS’s 4.4 Linux kernel includes an important new security capability in Ubuntu -- the ability to modify the running Linux kernel code, without rebooting, through a mechanism called kernel livepatch. Today, Canonical has publicly launched the Canonical Livepatch Service -- an authenticated, encrypted, signed stream of Linux livepatches that apply to the 64-bit Intel/AMD architecture of the Ubuntu 16.04 LTS (Xenial) Linux 4.4 kernel, addressing the highest and most critical security vulnerabilities, without requiring a reboot in order to take effect. This is particularly amazing for Container hosts -- Docker, LXD, etc. -- as all of the containers share the same kernel, and thus all instances benefit. to add them to the comments below or on Twitter with hastag #Livepatch. 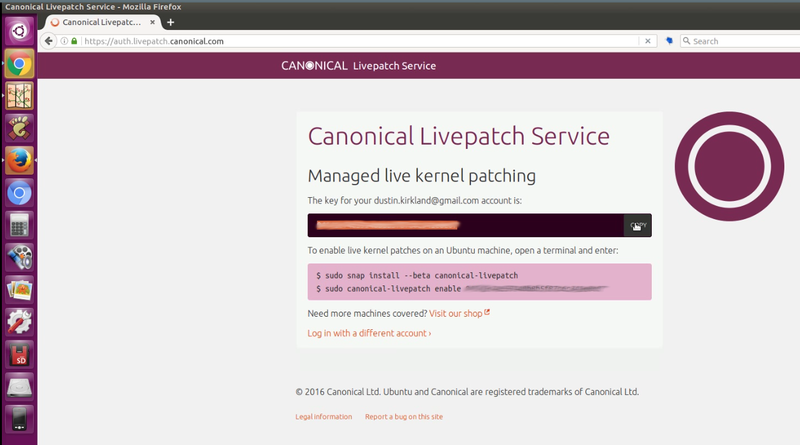 Q: How do I enable the Canonical Livepatch Service? A: Three easy steps, on a fully up-to-date 64-bit Ubuntu 16.04 LTS system. A: The Canonical Livepatch Service is available for the generic and low latency flavors of the 64-bit Intel/AMD (aka, x86_64, amd64) builds of the Ubuntu 16.04 LTS (Xenial) kernel, which is a Linux 4.4 kernel. Canonical livepatches work on Ubuntu 16.04 LTS Servers and Desktops, on physical machines, virtual machines, and in the cloud. The safety, security, and stability firmly depends on unmodified Ubuntu kernels and network access to the Canonical Livepatch Service (https://livepatch.canonical.com:443). You also will need to apt update/upgrade to the latest version of snapd (at least 2.15). Q: What about other architectures? A: The upstream Linux livepatch functionality is currently limited to the 64-bit x86 architecture, at this time. IBM is working on support for POWER8 and s390x (LinuxOne mainframe), and there’s also active upstream development on ARM64, so we do plan to support these eventually. The livepatch plumbing for 32-bit ARM and 32-bit x86 are not under upstream development at this time. Q: What about other flavors? A: We are providing the Canonical Livepatch Service for the generic and low latency (telco) flavors of the the Linux kernel at this time. Q: What about other releases of Ubuntu? A: The Canonical Livepatch Service is provided for Ubuntu 16.04 LTS’s Linux 4.4 kernel. Older releases of Ubuntu will not work, because they’re missing the Linux kernel support. Interim releases of Ubuntu (e.g. Ubuntu 16.10) are targeted at developers and early adopters, rather than Long Term Support users or systems that require maximum uptime. We will consider providing livepatches for the HWE kernels in 2017. Q: What about derivatives of Ubuntu? A: Canonical livepatches are fully supported on the 64-bit Ubuntu 16.04 LTS Desktop, Cloud, and Server operating systems. On other Ubuntu derivatives, your mileage may vary! These are not part of our automated continuous integration quality assurance testing framework for Canonical Livepatches. Canonical Livepatch safety, security, and stability will firmly depend on unmodified Ubuntu generic kernels and network access to the Canonical Livepatch Service. Q: How does Canonical test livepatches? A: Every livepatch is rigorously tested in Canonical's in-house CI/CD (Continuous Integration / Continuous Delivery) quality assurance system, which tests hundreds of combinations of livepatches, kernels, hardware, physical machines, and virtual machines. Once a livepatch passes CI/CD and regression tests, it's rolled out on a canary testing basis, first to a tiny percentage of the Ubuntu Community users of the Canonical Livepatch Service. Based on the success of that microscopic rollout, a moderate rollout follows. And assuming those also succeed, the livepatch is delivered to all free Ubuntu Community and paid Ubuntu Advantage users of the service. Systemic failures are automatically detected and raised for inspection by Canonical engineers. Ubuntu Community users of the Canonical Livepatch Service who want to eliminate the small chance of being randomly chosen as a canary should enroll in the Ubuntu Advantage program (starting at $12/month). Q: What kinds of updates will be provided by the Canonical Livepatch Service? A: The Canonical Livepatch Service is intended to address high and critical severity Linux kernel security vulnerabilities, as identified by Ubuntu Security Notices and the CVE database. Note that there are some limitations to the kernel livepatch technology -- some Linux kernel code paths cannot be safely patched while running. We will do our best to supply Canonical Livepatches for high and critical vulnerabilities in a timely fashion whenever possible. There may be occasions when the traditional kernel upgrade and reboot might still be necessary. We’ll communicate that clearly through the usual mechanisms -- USNs, Landscape, Desktop Notifications, Byobu, /etc/motd, etc. Q: What about non-security bug fixes, stability, performance, or hardware enablement updates? A: Canonical will continue to provide Linux kernel updates addressing bugs, stability issues, performance problems, and hardware compatibility on our usual cadence -- about every 3 weeks. These updates can be easily applied using ‘sudo apt update; sudo apt upgrade -y’, using the Desktop “Software Updates” application, or Landscape systems management. These standard (non-security) updates will still require a reboot, as they always have. Q: Can I rollback a Canonical Livepatch? A: Currently rolling-back/removing an already inserted livepatch module is disabled in Linux 4.4. This is because we need a way to determine if we are currently executing inside a patched function before safely removing it. We can, however, safely apply new livepatches on top of each other and even repatch functions over and over. Q: What about low and medium severity CVEs? A: We’re currently focusing our Canonical Livepatch development and testing resources on high and critical security vulnerabilities, as determined by the Ubuntu Security Team. 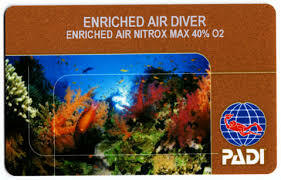 We'll livepatch other CVEs opportunistically. Q: Why are Canonical Livepatches provided as a subscription service? A: The Canonical Livepatch Service provides a secure, encrypted, authenticated connection, to ensure that only properly signed livepatch kernel modules -- and most importantly, the right modules -- are delivered directly to your system, with extremely high quality testing wrapped around it. Q: But I don’t want to buy UA support! A: You don’t have to! Canonical is providing the Canonical Livepatch Service to community users of Ubuntu, at no charge for up to 3 machines (desktop, server, virtual machines, or cloud instances). A randomly chosen subset of the free users of Canonical Livepatches will receive their Canonical Livepatches slightly earlier than the rest of the free users or UA users, as a lightweight canary testing mechanism, benefiting all Canonical Livepatch users (free and UA). Once those canary livepatches apply safely, all Canonical Livepatch users will receive their live updates. Q: But I don’t have an Ubuntu SSO account! A: An Ubuntu SSO account is free, and provides services similar to Google, Microsoft, and Apple for Android/Windows/Mac devices, respectively. You can create your Ubuntu SSO account here. Q: But I don’t want login to ubuntu.com! A: You don’t have to! Canonical Livepatch is absolutely not required maintain the security of any Ubuntu desktop or server! You may continue to freely and anonymously ‘sudo apt update; sudo apt upgrade; sudo reboot’ as often as you like, and receive all of the same updates, and simply reboot after kernel updates, as you always have with Ubuntu. Q: But I don't have Internet access to livepatch.canonical.com:443! A: You should think of the Canonical Livepatch Service much like you think of Netflix, Pandora, or Dropbox. It's an Internet streaming service for security hotfixes for your kernel. You have access to the stream of bits when you can connect to the service over the Internet. On the flip side, your machines are already thoroughly secured, since they're so heavily firewalled off from the rest of the world! Q: Where’s the source code? A: The source code of livepatch modules can be found here. The source code of the canonical-livepatch client is part of Canonical's Landscape system management product and is commercial software. Q: What about Ubuntu Core? A: Canonical Livepatches for Ubuntu Core are on the roadmap, and may be available in late 2016, for 64-bit Intel/AMD architectures. Canonical Livepatches for ARM-based IoT devices depend on upstream support for livepatches. Q: How does this compare to Oracle Ksplice, RHEL Live Patching and SUSE Live Patching? Oracle Ksplice uses it’s own technology which is not in upstream Linux. RHEL and SUSE currently use their own homegrown kpatch/kgraft implementations, respectively. Canonical Livepatching uses the upstream Linux Kernel Live Patching technology. Ksplice is free, but unsupported, for Ubuntu Desktops, and only available for Oracle Linux and RHEL servers with an Oracle Linux Premier Support license ($2299/node/year). SUSE Live Patching is available as an add-on to SUSE Linux Enterprise Server 12 Priority Support subscription at $1,499/node/year, but does come with a free music video. Canonical Livepatching is available for every Ubuntu Advantage customer, starting at our entry level UA Essential for $150/node/year, and available for free to community users of Ubuntu. Q: What happens if I run into problems/bugs with Canonical Livepatches? A: Ubuntu Advantage customers will file a support request at support.canonical.com where it will be serviced according to their UA service level agreement (Essential, Standard, or Advanced). Ubuntu community users will file a bug report on Launchpad and we'll service it on a best effort basis. Q: Why does canonical-livepatch client/server have a proprietary license? A: The canonical-livepatch client is part of the Landscape family of tools available to Canonical support customers. 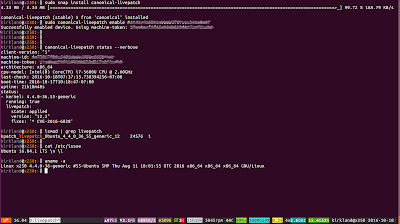 We are enabling free access to the Canonical Livepatch Service for Ubuntu community users as a mark of our appreciation for the broader Ubuntu community, and in exchange for occasional, automatic canary testing. Q: How do I build my own livepatches? Q: How do I get notifications of which CVEs are livepatched and which are not? A: You can, at any time, query the status of the canonical-livepatch daemon using: ‘canonical-livepatch status --verbose’. This command will show any livepatches successfully applied, any outstanding/unapplied livepatches, and any error conditions. Moreover, you can monitor the Ubuntu Security Notices RSS feed and the ubuntu-security-announce mailing list. Q: Isn't livepatching just a big ole rootkit? A: Canonical Livepatches inject kernel modules to replace sections of binary code in the running kernel. This requires the CAP_SYS_MODULE capability. This is required to modprobe any module into the Linux kernel. If you already have that capability (root does, by default, on Ubuntu), then you already have the ability to arbitrarily modify the kernel, with or without Canonical Livepatches. If you’re an Ubuntu sysadmin and you want to disable module loading (and thereby also disable Canonical Livepatches), simply ‘echo 1 | sudo tee /proc/sys/kernel/modules_disabled’.